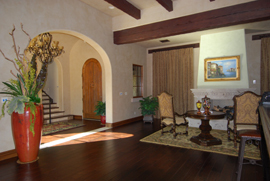 American Clay finishes allow for one-of-a-kind designs that stand out from the crowd. These clay plasters offer a look and tactile feel you won't find anywhere else. Aside from their natural beauty, clay finishes are environmentally friendly, require little maintenance and offer superior longevity, lasting as long as long as the building. People build green for many reasons, the obvious being the energy efficiency and tax benefits. Who would not love these benefits combined with the self satisfaction of building toward an Eco Friendly lifestyle. 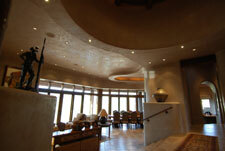 Many people however, are now considering their interior plaster the crown jewel of their green project. Imagine arriving home to and eco friendly interior plaster wall finish. The breathable plaster has added a sense of cleanliness to the air. Your custom color adds depth and richness while your eyes relax on the subtle color variations of the artistically hand applied wall finish. 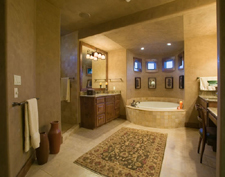 The finishing touch to your green project is very apparent to all that walk in to your home. 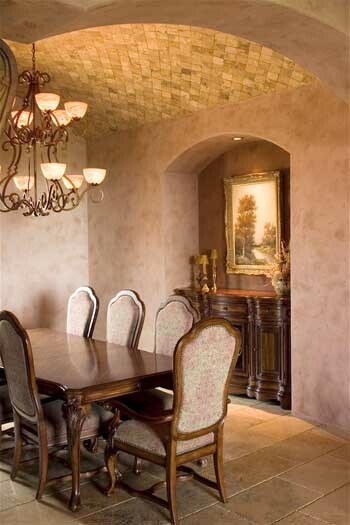 The warmth and beauty of an ecologically friendly plaster is unmatched and available in styles that range from Southwestern to French Country, and Contemporary. Often times when building a green project, clientele come to us in search of an interior wall finish that can give them the few extra credits towards their certifications, but what many fail to realize is that our American Clay product is a cost effective way to earn up to 10 LEED credits. American Clay uses renewable resources, recyclable packaging and contains zero volatile organic compounds (VOCs). This plaster will help make your project better for your home in your city, as well as your home on Earth. To see a breakdown of how LEED points are earned, click on the link below.